To validate my technical degree in Informatics-Embedded Systems I have done from march to june 2007 a placement in the Robert Gordon University in Aberdeen, Scotland. 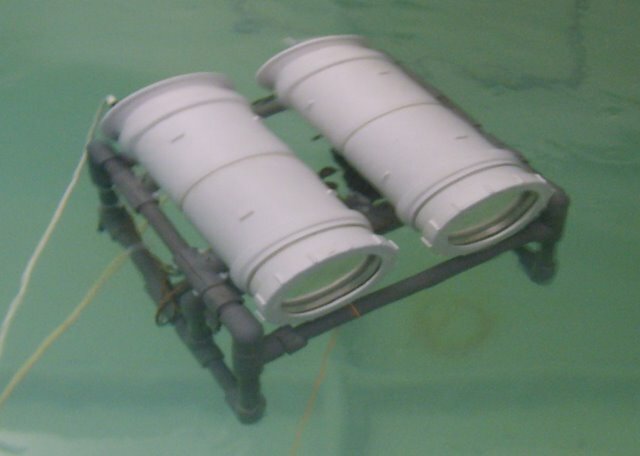 The subject was to develop a control system for an Autonomous Underwater Vehicle (AUV) using image processing. Thus, the main part of my work was to write algorithms to process images captured by the webcam. Lines and rectangles detection (using Hough space instead of Cartesian space). Circle detection with its center. Color detection (using HSV color space instead of RGB). Once, environment is know, the AUV must move by activating its 3 motors. To control the motors from the a PC, the board K8055 is used.